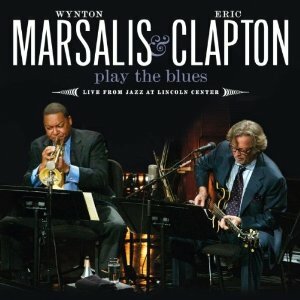 Music superstars Eric Clapton and Wynton Marsalis got together last April for a concert at the Rose Theater at Lincoln Center in New York City. The concert featured songs hand-picked by Eric Clapton, then arranged by Marsalis, and included highlights such as a guest appearance by Taj Mahal. While the concert will be released on September 13th on a CD/DVD combo pack (Warner Brothers, CLICK HERE TO BUY), there is an even better opportunity to hear this show for those of us who weren’t able to make the cross country trip to see the show live. On September 7th, the concert will be shown at over 550 movie theaters at 7:30 PM local time. This is a one-night only opportunity, and while there is no substitute for being at a live concert, top quality movie theater video and audio is certain to be a second best (especially when you compare it to my car stereo system). Once in a while the stars align and something magical happens…as on the night Jazz at Lincoln Center presented a salute to the late, great bluesman, Ray Charles. Two musical iconoclasts, Willie Nelson and Wynton Marsalis, along with the stunning songstress Norah Jones, collectively brought their unique musical perspective to the legendary artist’s hits such as “Hallelujah I Love Her So”, “Hit the Road Jack,” and “Unchain My Heart.” Country music legend Willie Nelson and Pulitzer Prize-winning jazz artist and Jazz at Lincoln Center Artistic Director Wynton Marsalis share more in common than their multiple GRAMMY® awards. They also share great respect and admiration for the late musical pioneer Ray Charles. Nelson and Marsalis joined musical forces for a two-night Jazz at Lincoln Center concert event at New York City’s Frederick P. Rose Hall, home of Jazz at Lincoln Center. Their set list explored the legacy of Charles, cleverly sequencing the songs to tell the story of a love affair from beginning to end and beyond. 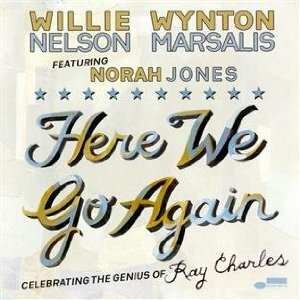 This fine idea was made finer by the inclusion of fellow multiple GRAMMY® winner Norah Jones, whose style suggests a middle ground between Nelson and Marsalis. The sold out performance was captured and the resulting footage expertly mixed and mastered for the brand new album. 2011 release, a collaborative effort between Joshua Redman and fellow Jazz travelers Aaron Parks, Matt Penman and Eric Harland. Since they’ve already guest-starred on each other’s recordings, James Farm is a natural progression for these Jazz musicians. 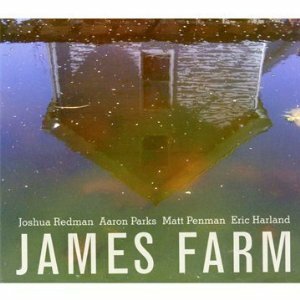 James Farm made its debut at the 2009 Montreal Jazz Festival and has since performed dates in North America and Europe, garnering praise for its live set and fueling anticipation for this studio debut, which features tunes by each of the four musicians. It’s hard to find a more fruitful meditation on American music than in the compositions of guitarist Bill Frisell. –NY Times. 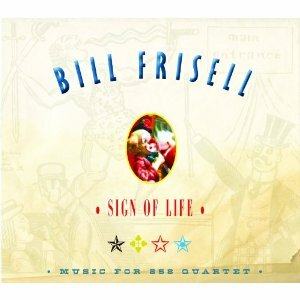 Bill Frisell’s remarkable artistry shines through on this brand new album with his world renowned 858 string quartet. Featuring Jenny Scheinman (violin), Eyvind Kang (viola), and Hank Roberts (cello), Sign Of Life was born out of Bill’s composing retreat in Vermont during the fall of 2010. The entire album was recorded, mixed, and mastered in only 3 months – the shortest gestation period ever for a Frisell recording. A quartet of master musicians and a program of jazz classics. 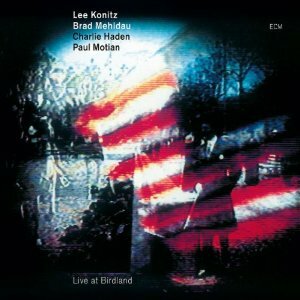 Live At Birdland presents the finest moments from two inspired nights at New York’s legendary club, as Konitz, Mehldau, Haden and Motian play “Loverman”, “Lullaby Of Birdland”, “Solar”, “I Fall In Love Too Easily”, “You Stepped Out Of A Dream” and “Oleo” with freedom, tenderness, and a love of melody that only jazz’s greatest improvisers can propose. On this live recording from New York’s legendary club, an ensemble of history-making players dives into the music without a set list. Four exceptional jazz musicians -Lee Konitz, Brad Mehldau, Charlie Haden and Paul Motian – approach the standards from new perspectives and unusual angles. They play them with freedom, tenderness and a melodic and rhythmic understanding found only amongst jazz’s greatest improvisers. From the Associated Press. Although unfortunate that the screenings with live music by Wynton Marsalis was only held in five cities, it is encouraging that the director intends to eventually get the film out to a larger audience, even if it means adding a recorded soundtrack. Dan Pritzker has spent more than 15 years and millions of dollars trying to bring the story of a jazz singer of whom little is known to the big screen. Then he decided to release another movie first. And not just any other movie, but a silent, black-and-white movie about Louis Armstrong. “Since I finished the silent film first, it’s kind of like I finished my second film before I finished my first, which is a little ridiculous,” Pritzker acknowledged. Pritzker, the billionaire son of the late Hyatt hotel magnate Jay Pritzker and a musician in his own right with the R&B band Sonia Dada, had intended to release “Bolden,” starring Anthony Mackie, as his debut film project. It’s about Buddy Bolden, the cornet player virtually unknown in most circles but credited with being one of the creators of jazz. But while Pritzker was writing the script for that movie in 2001, he took his mother to see the Charlie Chaplin classic “City Lights,” complete with a live symphony, in Chicago. He decided it would be a challenge to make a silent film as well, one that was supposed to pick up where “Bolden” left off. That’s where the inspiration for “Louis” was born. It tells a fictional story of a 6-year-old Louis Armstrong (played by Anthony Coleman), whose dreams of playing the trumpet are intertwined with the seedy, corrupt underworld of early 20th century New Orleans. Jackie Earle Haley plays an evil, corrupt politician with more than a passing interest in a brothel, and Shanti Lowry stars as the beautiful prostitute who captures the heart of the politician and young Louis. Lowry, who stars in both movies as the same character, said she didn’t know what to expect while filming the silent “Louis,” but she wasn’t at a disadvantage because neither did anyone else, including Pritzker. The movie, photographed by Academy Award-winning cinematographer Vilmos Zsigmond, opened Aug. 25 in Chicago, played in Detroit, and is scheduled to be screened in Bethesda, Md., New York and Philadelphia over the next few days. Each showing will feature live accompaniment by jazz great Wynton Marsalis, the film’s executive producer, his 10-piece ensemble, and pianist Cecile Licad. Right now, there are no plans to show “Louis” in other theaters after its initial dates. But Pritzker said he’ll figure out how to bring “Louis” to a wider audience, even if it means showing the movie with recorded music instead of a live orchestra. Lowry agrees, saying she doesn’t care if it’s a commercial success but only hopes those who do see it “Louis” love it as much as she does. Bolden was institutionalized in 1907 and died in 1931 without leaving behind a single recorded note of music, but is considered by many historians as an integral figure in the creation of jazz. “It’s the poetry and the tragedy — an anonymous black guy who created this music that’s incredible,” Pritzker said. “Jazz is the American art form. One of the great things about being in my job is having the opportunity to interview world-class musicians, or introduce them on stage at concerts. Of course the chance to hear them play live right in front of me, or learn interesting things about them during an interview is amazing, but for me the most entertaining part is the discussions that happen before the tape is rolling or before the show begins. This is the time where, even if it is only a sentence or two, I feel you can really get the coolest story of the event. I have yet to run into sax man Joshua Redman in a bad mood backstage. He remembers names, asks about other people at the radio station by name and tells me to say hello to them for him. While walking on stage to introduce Wynton Marsalis, one of his band members told me to wait a second because he wanted to know where the best place to eat after the show was. And the great Clark Terry, after a wonderful interview and performance, was kind enough to join some of the staff and listeners for a sandwich. God bless him, as he fell asleep while I was in the middle of a sentence. In his defense, most people start falling asleep when I talk too much. Thinking about this made me start wondering about all of the great conversations and interactions that took place “off-mic” in recording sessions that we never got to hear. For example, to be a fly on the wall, Christmas Eve, 1954. Miles Davis and Thelonious Monk are in a recording session that reportedly almost came to blows because Miles didn’t want Monk playing during his solos. Give their recording of The Man I Love a listen, and you can almost hear the animosity. I would have loved to hear that conversation take place. Or perhaps some studio sessions with slightly less violent interactions. How about Louis Armstrong and Duke Ellington (or any recording session with either of those two guys)? I can only imagine the conversations that took place when the tape wasn’t rolling. Certainly there are many sessions that would have been great to be a fly on the wall for, and no doubt that with all of the ones that are racing through my mind right now, I am probably forgetting some that would have been the best. I invite you to share who you would have liked to overhear in the studio when the microphones were off. No, not that Grace Kelly. I’m torn to define saxophonist, singer, songwriter, composer, and arranger Grace Kelly as “emerging”, considering what she has already accomplished. But as Grace celebrates her 17th birthday next Friday (that’s right, she is just 16), one must assume that there is plenty of opportunity in years to come for this young lady to become a household name in jazz. On his radio program Jazz After Hours this morning, host Jim Wilke suggested that “young” and “talented” can often go hand in hand, and that no one would argue that both can easily be applied to Grace Kelly. After hearing her wonderful recording of Comes Love, it was easy to agree. And, as her website boasts, I am far from the only person to agree. Kelly, at age 16, has already performed or recorded with Wynton Marsalis, Dave Brubeck, Harry Connick, Jr., Diane Reeves, Phil Woods, Hank Jones, Kenny Barron, Russell Malone, Cedar Walton, Peter Bernstein, and Marian McPartland. That is the very short list. She has also performed at Carnegie Hall, Birdland, and Scullers (another short list), as well as a variety of jazz festivals. 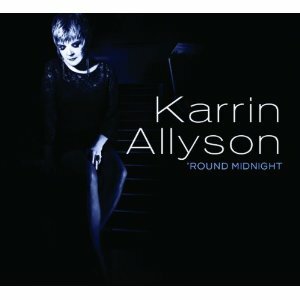 She has won numerous young musician and student musician awards, and was named Best Jazz Act in Boston in 2008 by the FNX/Phoenix Best Music Poll. Oh, and she began her first term at Berklee College of Music last fall, on a full ride, again at age 16. When you hear Grace Kelly play, or listen to one of her arrangements or compositions, you realize that this isn’t one of those situations where a musician will get cut slack simply based on the fact that they are young. Kelly needs no slack to be cut for her, and the attention that she has received and will continue to receive is more than worthy. Her performances and compositions are frighteningly mature and well designed. In fact, the only way you are even aware that the player is a 16 year old is if you are told that. What is more surprising is that Grace isn’t someone who had a sax shoved in her hands at age two. She, like many of us, took piano lessons as a young kid. She also followed the typical chronological time line that most kids do in school, not really playing the sax until she was ten. Two years later, she was impressing the likes of Ann Hampton Callaway and Victor Lewis. I am not someone who throws around the word “prodigy”, but there is not much way to avoid associating that word with Grace Kelly. To imagine what she has accomplished in six years is hard enough to believe. To actually hear it is even more unbelievable. Grace Kelly’s fifth album is now available, titled Mood Changes. Watch Grace play Setting The Bar with Russell Malone below.